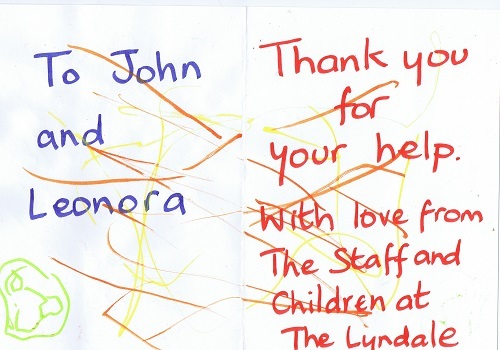 As you can see above, Leonora and I received a thank you card fortnight ago from the Lyndale staff and children (the scanned images probably don’t do it justice). So I’d like to take this opportunity to thank Lyndale staff and children for the thank you card. In the three and half years since starting this blog I think it’s the first thank you card that Leonora and I have received and came completely out of the blue so I’d like to take this opportunity to thank the Lyndale staff and children for creating it and sending it. The consultation on closing Lyndale School started on April 2nd. The consultation document can be downloaded here, as well as the Cabinet report. The link from Wirral Council’s consultation page to the Coordinating Committee report doesn’t work. 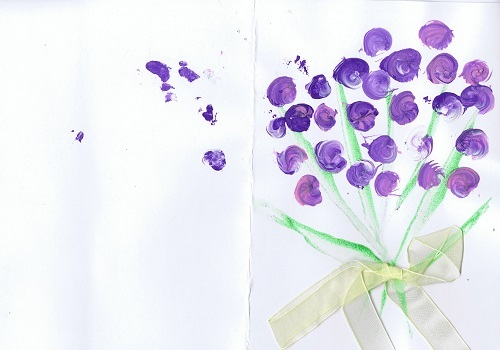 However it can be read on this blog at pages five to six of this document. Hopefully Wirral Council will fix the link! There is also a feedback form and Wirral Council has more detail about the consultation on closing Lyndale School on this page on their website. Video of the original Cabinet decision of the 16th January is below (the item starts in the first video at 1:53). Video of the Coordinating Committee meeting of the 27th February is below that. This blog has also published transcripts of the Lyndale School item at the Cabinet meeting and a partial transcript of the Coordinating Committee meeting. The transcript of the Lyndale item at the Cabinet meeting can be found at How did the Lyndale School closure consultation begin?. The Coordinating Committee item on Lyndale School last for about three and a half hours. The first transcript of it is at What did officers say at the Lyndale School call in? “we had a problem the rules mattered more than the children”, followed by What did officers say about Lyndale School in reply to “how much money you would expect to get if you sold that land?”. During the consultation period I hope to have the time to type up some more transcripts of the Coordinating Committee meeting.